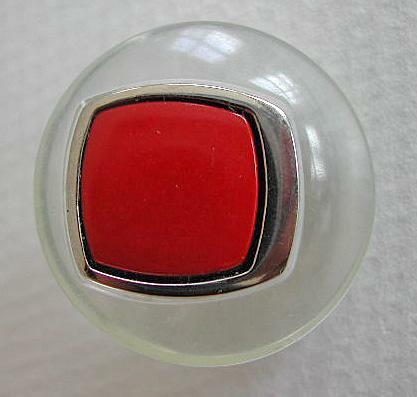 Round clear transparant polyester button with silver metal inlay and a solid brownish/salmon pink color inlay. Like a TV screen. The button is somewhat rounded, it is marked Pavese in the transparant plastic on the back, and it has a separate plastic inserted shank. In excellent condition.